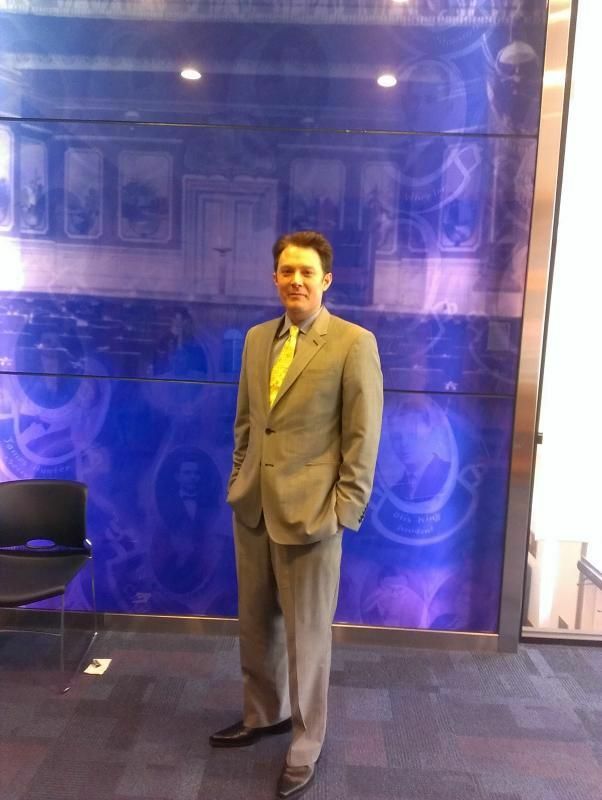 Clay Aiken – Shaking Up The Race! It is time for the mid-day up-date here at CANN. Another busy day…I just can’t keep up!!! We have added a new tab at the top of our site…Click on Clay for NC. We are putting the videos there as quickly as we can. I hope it is something you will find a shortcut to seeing Clay’s interviews. Thank you, Deona for setting this up!! Your first reaction was probably the same as mine. 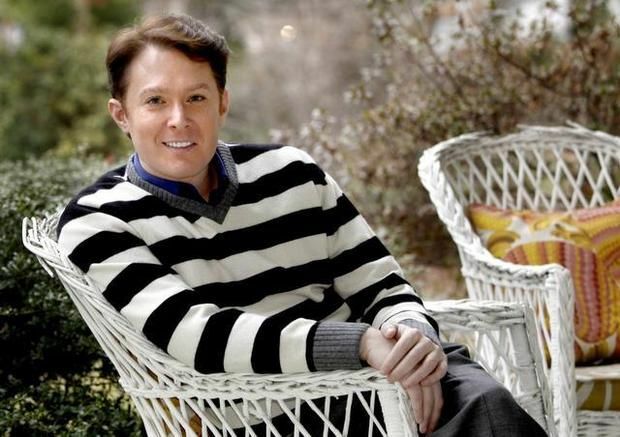 Clay Aiken? The singer? For Congress? Then I met him. He’s the same person you meet in his announcement video. He’s smart, serious and genuine. He clearly has thought deeply about policy matters. He has a unique voice that is a breath of fresh air in a polluted political climate. And he has a genuine empathy for people that he has demonstrated as a YMCA counselor, a special education teacher, a foundation leader and a UNICEF representative overseas. He’s kind of like Opie Taylor would have turned out if he’d had a big voice. Except he’s tougher than he looks. Republicans predictably pushed the rewind button on their political mud machine. The haters and the homophobes crept out of their Internet cellars. Have at it. Aiken’s campaign feeds off their fuel – and the public’s disgust with it. For Democrats, there’s a choice between competing theories of the race. Keith Crisco’s theory is that he can peel off Republican voters in Randolph County. He says he did it when he ran for county commissioner in 1992. He lost, but he ran ahead of Governor Hunt and President Clinton. Aiken’s theory is that he can mobilize a new wave of new and young voters. He can inject new energy, reshape the electorate and shake up the race. There is a new generation of voters – and leaders – rising in North Carolina. They are idealistic and driven to make a difference. They are connected and engaged. If Democrats win them now, they can win with them for a long time to come. The question for Democrats is which path is right for the future. Which helps Kay Hagan most this year and helps candidates for governor and President in two years. I think the answer is obvious. That’s why I’m for Clay. newsobserver.com – Saunders: Are there more Claymates or Renee-mates in District 2? …Should he win the Democratic primary for North Carolina’s 2nd Congressional District, Aiken’s potential election opponent could be even more formidable, considering that she would have both the advantage of incumbency and a district that was tailored to her beliefs – whatever they are. U.S. Rep. Renee Ellmers lacks the girth and singing range of Studdard and the celebrity wattage of Hall, but she has been in office for one term. And figures from the nonpartisan Center for Responsive Politics show that in 2012, 90 percent of congressional incumbents were re-elected. The good news for Aiken is that that’s down from 2004, though, when 99 percent were re-elected. Still, Ellmers undeniably appears worried that Clay may be a worthy opponent. She was, as he proudly pointed out, attacking him even when his candidacy was still a rumor. Perhaps Wood can enlighten the electorate on what people in San Francisco want that people in Sanford don’t. Oh, I get it: Clay is gay and San Francisco is hailed – and yes, demonized – for its acceptance of gay culture. Hmmm. Is Wood insinuating that there are no gays in Sanford? Oy. Maybe Renee does, as Wood said, “best represent the values of the voters in the 2nd District and remains focused on fighting for their families.” If her opening re-election salvo is an attack on a political novice, though, one might conclude that she hasn’t been fighting for families as effectively as she should have been. Ellmers will have ample time to go after Aiken’s record, his lifestyle or anything she wants. For now, though, the statesmanlike thing to do would be to welcome him to the race and say she looks forward to debating him on the issues. There is so much more…I will post more info later! And, don’t forget the videos under the new tab!! a great job in keeping up to dat with all this. I should have come here sooner–have been going nuts trying not to miss any articles or interviews. What an exciting time this is–so proud of Clay. I am so proud of Clay. Error: Error validating access token: Session has expired on Tuesday, 21-Aug-18 16:13:01 PDT. The current time is Wednesday, 24-Apr-19 01:25:26 PDT.